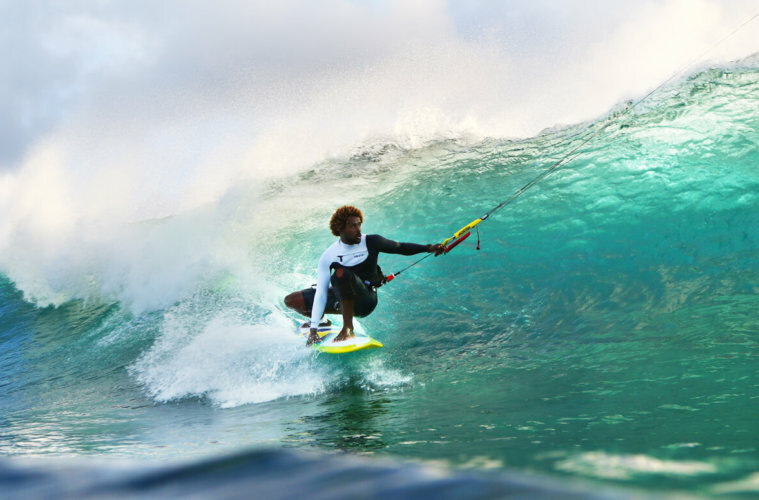 Waterman and (kite-)surf legend Mitu Monteiro spreads his knowledge around kitesurfing, gives you tips on how to develop your own new tricks and how to teach your kids kitesurfing. 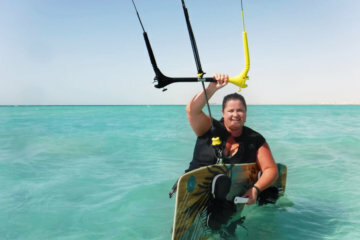 A truly inspiring interview with one of the most charismatic, innovative and down to earth kitesurfers out there, who always reinvents the game of kitesurfing. You’re an outstanding waterman, you practice so many different disciplines like SUP, surf, windsurf, kite surf – how would you describe how those different sports make you feel? 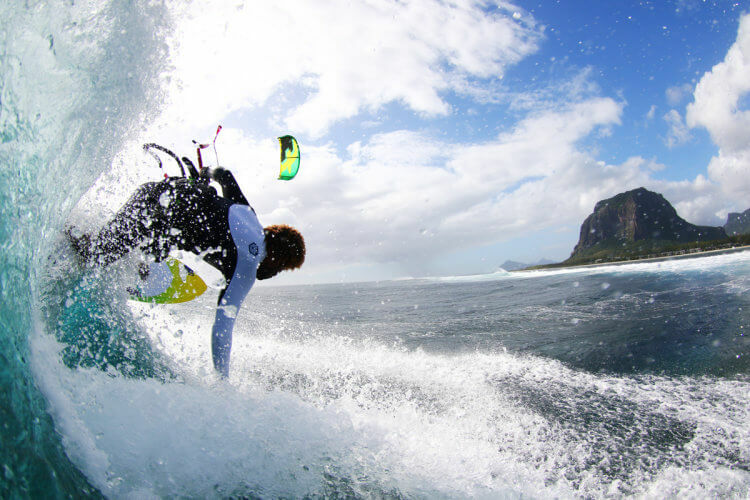 Which role has kitesurfing for you in all those watersports or are all they all equal for you? What does a typical day in your life look like? What habits do you think make you so successful or are there some routines you do every day? 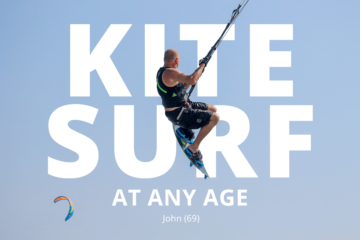 Are there like any unwritten guidelines you think a kitesurfer should follow, like a kite codex that everyone should practice? What inspires you and motivates you to always keep learning new stuff? Do you have some tips for our readers how they can progress as well? 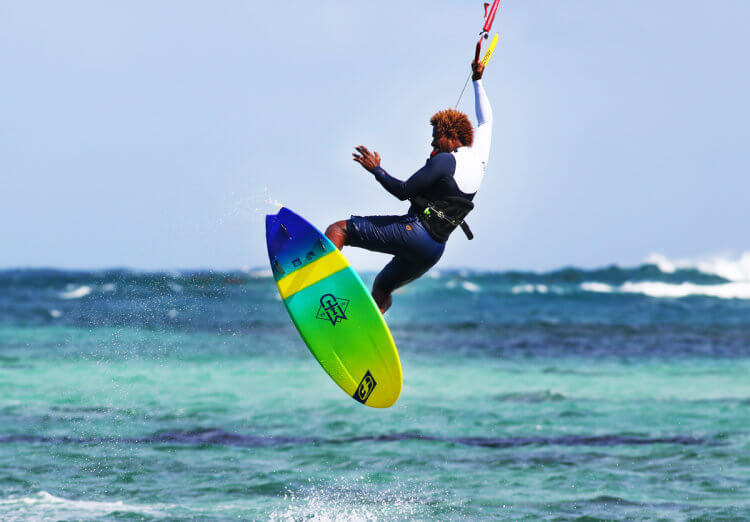 You teach your son kitesurfing now and I always see a lot of parents that are asking: „When is the right time to teach my kids kitesurfing, how should I do it?“. Can you give us a few tips on how to approach it? Do you have a life motto or philosophy that guides you through life? Mitu: You know in Cape Verde, on my island – Sal – it’s really small. So every day, based on the conditions, you just decide what you’re going to do. Sometimes I go out and check, there is no wind no waves, I say “ok, let’s go spear fishing”, I just decide then what I’m going to do. Or I’m taking my skim board and go to some skim board spot. So for me, being on the water, is like being in my house. If I’m on the water I’m happy, I’m cool. So just to being in the water is already perfect for me. Mitu: You know kitesurfing is more practical because I don’t have to take too much gear, I have it in my car. But sometimes I also have my surf with me and go surfing as well. When I see the conditions are not so nice I do some Stand Up Paddle as well. 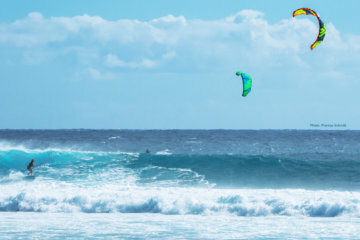 And I’m a professional kitesurfer so I need to train a little bit more with the kite but if I have the chance to go surfing I just go surfing as well. When there is no wind, it’s so nice to be on the water and spend some time, like 4 hours in the water surfing, it’s a different feeling. Mitu: No, I think it’s the passion. I like what I do! I’m happy when I’m on the water! I teach as well in my school and sometimes people are coming and ask „But are you going to teach me?“ And I say „Yeah, why not?“. Because it’s nice to share that passion. For me it’s really nice to see someone when they do the first waterstart or just have their body drag and they start to smile: I feel so good because I share my passion. Mitu: Kiting is new and there is a lot to learn. We also have a lot of different riders and every one has a different level, a different style and I’m sure everyone has a different background. You have some that work, they do a different job so they can’t go kiting every day, someone else works at the beach with a kite. Everyone has a different style but the most important thing is the passion. If you have the passion you’re going to grow this adrenaline. So when you go on the water you’re going to do your best for sure. Mitu: You know when I started with windsurfing I did that many years. 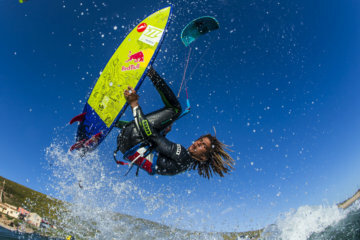 I bring a lot of tricks from windsurfing into kitesurfing. 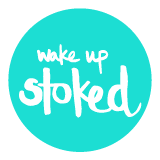 So strapless is now in style and everyone wants to do it. But when I started it was not because I wanted to do strapless but because I had no board with straps so I used my surfboard to go kiting. From there, slowly slowly, I tried to improve. In windsurfing I did the backloop so I tried the backloop as well. Sometimes it wasn’t possible because at that time we had the C-Kite with a lot of power, no depower, so it was a bit complicated. But I think everybody has the possibility to create new tricks, to find a new motivation. Just in this year I did like four new tricks. But I think if you have a passion you can just think about something which is coming from snowboarding, skateboarding and you can bring that experience to your kiteboard. You can mix it a little bit. It’s possible, everybody can do this! Just use your passion and imagination and do it! Mitu: With my son it’s a nice relationship: I don’t force anything and there is something like a feeling between the parents and sons so there is a moment you will see is the best moment to start. With him it was already 1.5 years ago when he was on the beach, playing with the kite. But not like a course, he just wants to play. For him it’s fun, he plays a little bit and then lets the bar go and the kite flies away and the dad needs to go and run to get the kite back. So it’s fun for him and then he has some interest. We started like that. Surfing was the same, together, he didn’t know how to swim back then. You need to trust, you need to create this relationship of trust and check until where you can go. We spend a lot of time in the water, playing with the waves, just to be more free in the water. Sometimes when you crash, a wave hits you on the head and then you have no problem because you know what happens, you already know this feeling. So from my side I’m really more relaxed because I know what can happen. 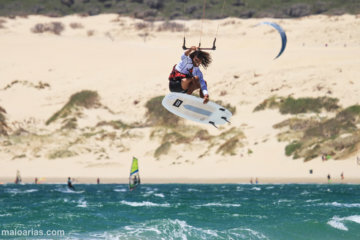 He started with kiting and he has good control, he did it in Brazil with shallow water and there I feel more safe with him. But now he’s surfing more. Because surfing is easy and it is a bit more safe because he can just let the board go. But.. he decides. If he says, papa let’s go surfing, we go surfing, let’s go kiting, we go kiting. I don’t push. Sometimes there is a wave and I say “ok now I go surfing” and he says “No, now it’s my time” so we need to play a little bit. But I think you just need to check when the best time is. You need some weight to support the kite and you need the right gear, this is really important. Mitu: Do what you like and believe in your dreams.